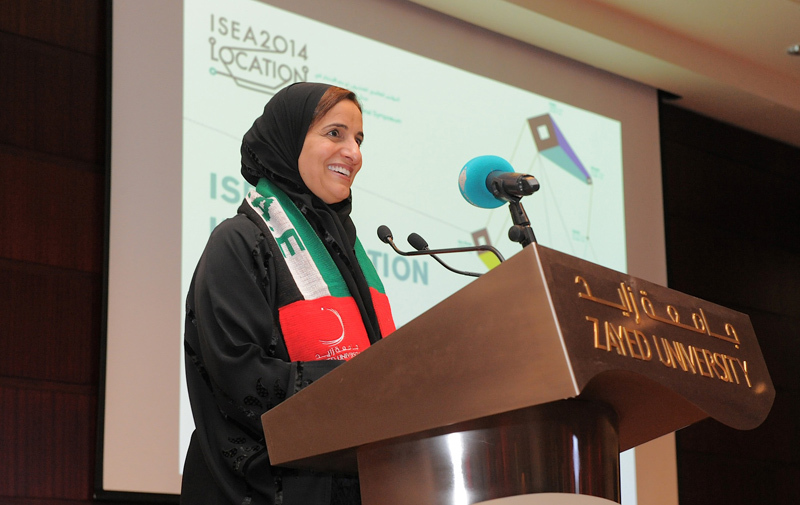 Her Excellency Sheikha Lubna Al Qasimi inaugurated the International Symposium on Electronic Art (ISEA2014) on Zayed University’s Dubai Campus, in line with the national initiative promoting “innovation” strategies that His Highness Sheikh Mohammad Bin Rashid Al Maktoum, UAE Vice President, Prime Minister and Ruler of Dubai, had launched earlier last month, in an attempt to position the UAE amongst the world’s most innovative countries in the next 7 years. 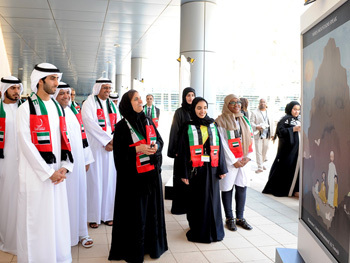 Also present at the inauguration ceremony were His Highness Sheikh Majed Al Mualla, Sue Gollifer, ISEA International Headquarters Director, Prof. Reyadh AlMehaideb, Vice President of Zayed University, and a number of officials and Zayed University students, faculty, and staff. Her Excellency noted that the first phase of the innovation strategy includes 30 National Initiatives to be completed within the coming three years, the most prominent of which are: issuing new legislations, setting up innovative incubators, building national capacities, creating private-sector incentives, developing international research partnerships, and altering the government system work- all of which would consequently lead to more innovation, and promote innovation in seven major sectors including renewable energy, transport, education, health, technology, water and space. 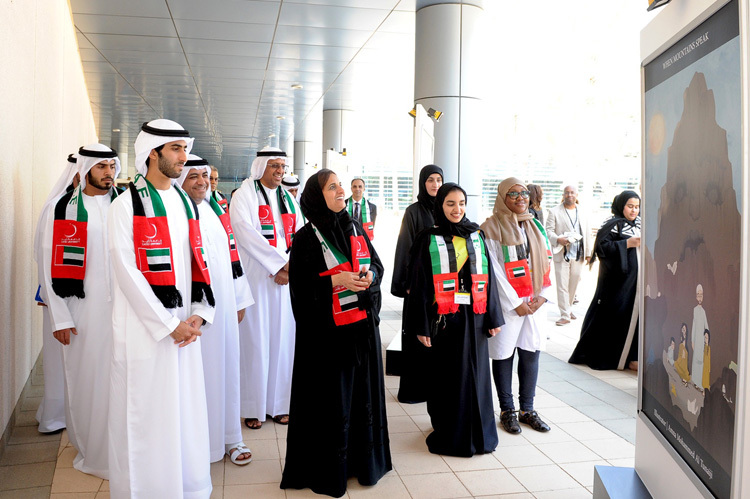 Her Highness Sheikha Lubna then toured around Dubai Campus with His Highness Sheikh Majed AL Mualla, and contemplated the artistic works of Zayed University students and participating artists in ISEA2014. 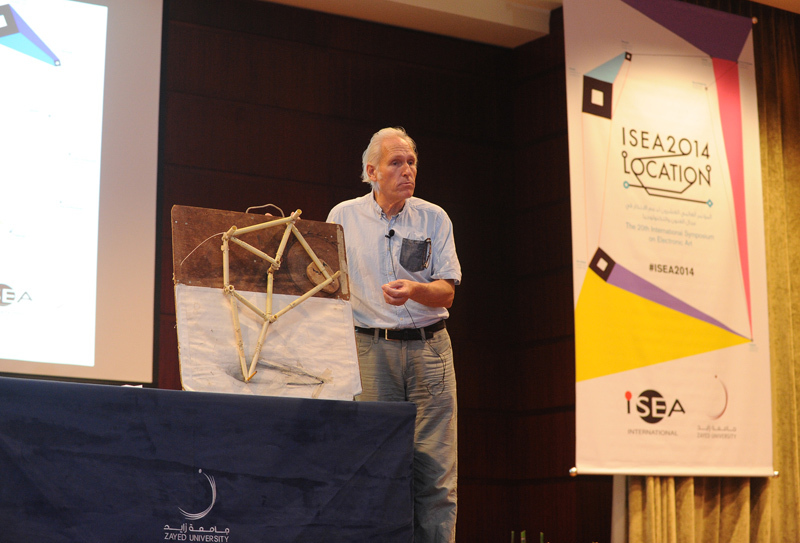 ISEA is a leading platform for new media and interactive and creative arts and made its Middle East debut at Dubai’s Zayed University, with international names in the fields of electronic art, science and technology in attendance. More than 100 local and international artists took part in exhibitions across Abu Dhabi, Dubai and Sharjah, supplemented with public workshops and panel discussions aimed at sparking future projects and artistic collaborations. 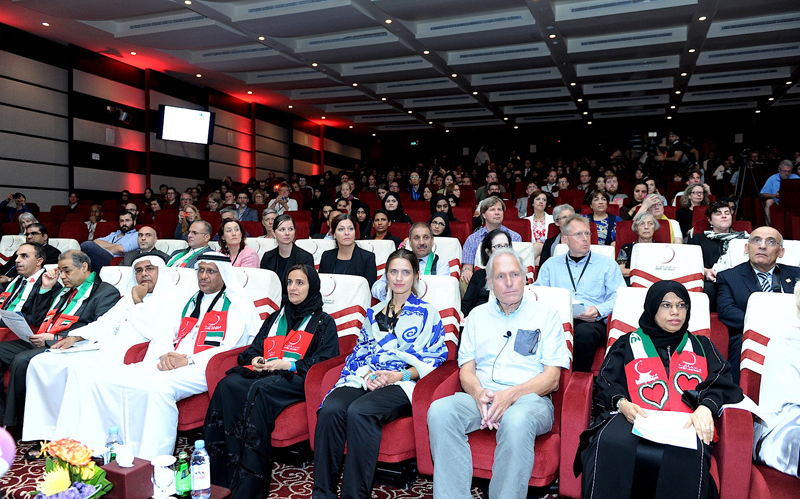 The theme of the conference revolved around “ Location” and entailed a three-day academic conference where more than 200 papers from scholars and leading thinkers were discussed among an audience of delegates and registered guests. 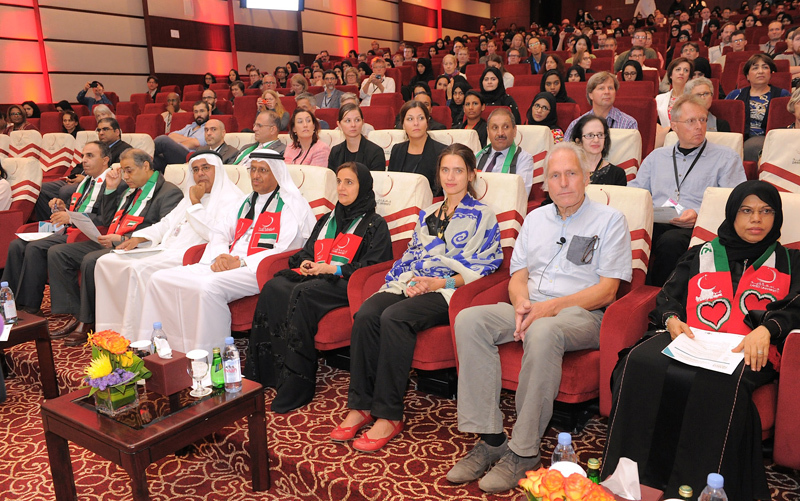 The conference also involved a number of workshops that engaged Zayed University students and the public in all sorts of disciplines, ranging from video gaming, to creating digital algorithms through the use of cellphones and researching plant life. It also included a number of exhibitions around Dubai, Sharjah and Abu Dhabi over the course of 10 days.